We offer expert sector knowledge, unrivalled market knowledge and a personal, confidential service. WE PROVIDE A COMPLETE CHILDCARE BUSINESS BROKER SERVICE WHICH UTILISES OUR GLOBAL BUYER NETWORK TO FACILITATE TRANSACTIONS. The childcare & education market is currently enjoying a sustained period of exceptionally strong growth; with both leasehold and freehold multiples strengthening considerably. 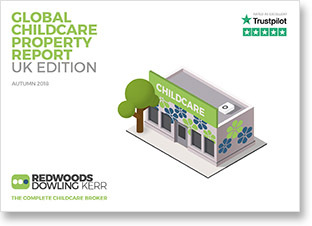 The buyer appetite is consistent, due to the UK being renowned worldwide for the quality of childcare on offer. At RDK we work with UK and International buyers and sellers to deliver their acquisition and sale mandates, our work and reputation is “recognised ” throughout the world and our service is unrivalled.